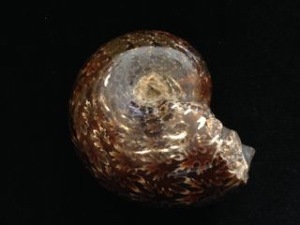 A compressed, involute shell form and a distinctive frilly suture characterises the shells of theses small to medium-sized ammonites. They are ether simply ornamented with growth lines or nearly smooth. The fairly streamlined profile of the shell, and the rounded venter, allowed this genus to swim at moderate speeds by jet propulsion.